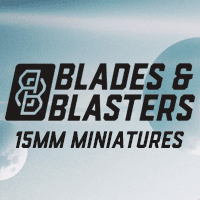 Wargame News and Terrain: Militia Miniatures: The Bad Guys! 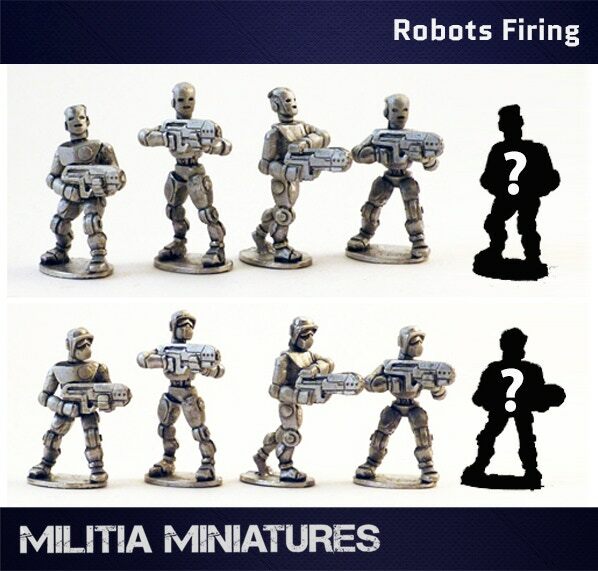 Rebels and Insurgents Kickstarter - Robots and More Unlocked! 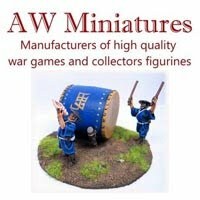 Militia Miniatures: The Bad Guys! 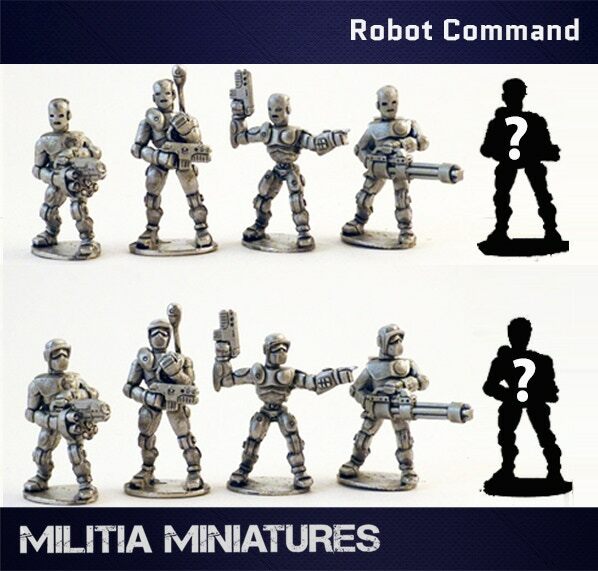 Rebels and Insurgents Kickstarter - Robots and More Unlocked! Robots! 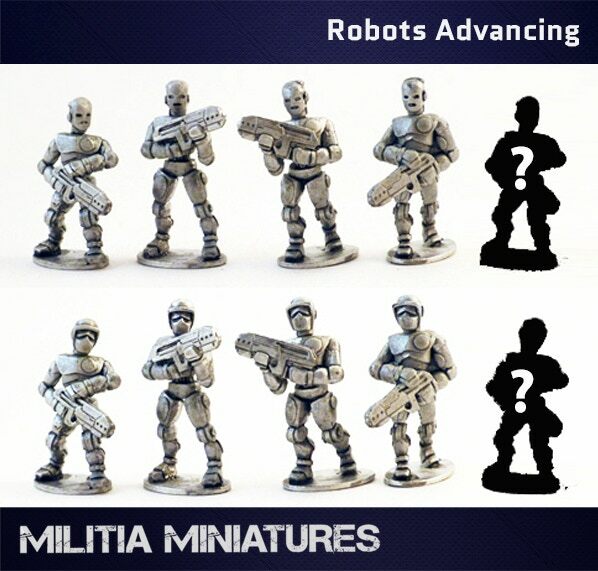 We acquired these Robots from Crossover Miniatures earlier this year and they come in packs of 4 normally. 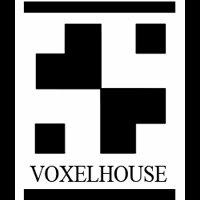 We're adding a 5th pose to each pack and they are now available to add to your Pledge at the bargain price of £6 per 5 robots. There are 3 types: Firing / Advancing / Command, so have a look at the pictures below and if you want any including, simply add £6 per pack to your pledge. Gunner! 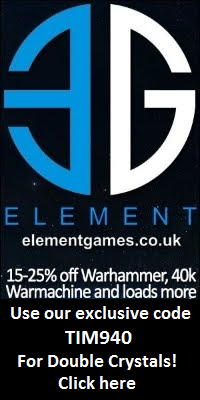 We're getting one of our original Mercs converted to be a new gunner for our excellent Humvee model, so everyone who has purchased a Humvee will get a free gunner per vehicle. Buy 1 Humvee, get 1 gunner, buy 3 Humvees, get 3 gunners... You get the idea! Next up is the £7000 target which is certainly possible with 4 days remaining. At this point we'll be unlocking a completely new set of sculpts, but we've not yet decided what to do! So, let us know your favourite movie bad guys and we'll see what's the most popular option. Right then, that'll do for now, time for me to head off to bed! Keep the pledges coming in and we'll have some pics of the Leader sculpts for you very soon.